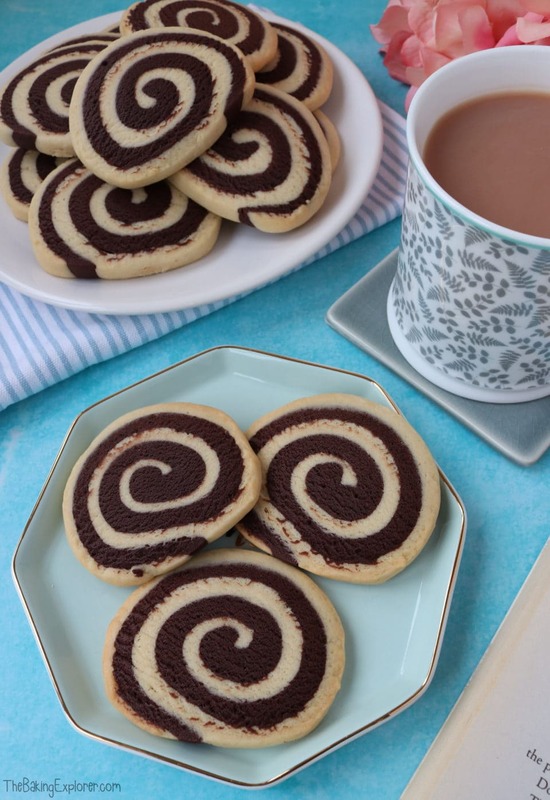 If you’re looking for fun and eye catching biscuits then these Chocolate & Vanilla Pinwheel Biscuits are the answer to your prayers. I absolutely love this effect as it really draws your attention! 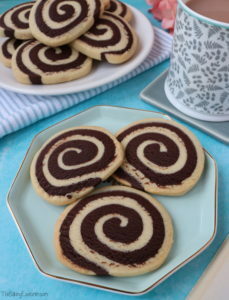 They’re also so yummy, with a texture similar to shortbread and delicious chocolate and vanilla flavours. They are great for dipping in a glass of milk or a cup of tea! 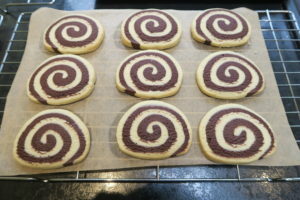 As well as the look of these biscuits, the other thing that’s great about them is that you can make them in advance, keep the dough in freezer and take it out and slice it when you’re ready to bake. You don’t even need to thaw it for more than a few minutes! 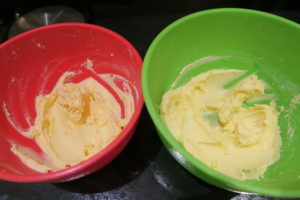 To make the biscuit doughs I started by creaming the butter and sugar together. 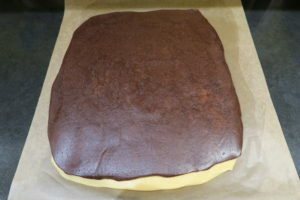 To the chocolate dough I added milk, egg, cocoa powder and plain flour. Then to the vanilla dough I added vanilla extract, egg and plain flour. 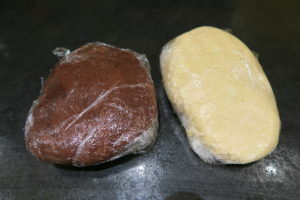 When the doughs came together I wrapped them both in cling film and chilled them in the fridge for 1 hour. 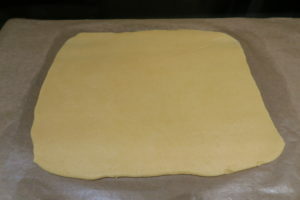 Onto two sheets of greaseproof paper I rolled out both doughs into rectangles that were approximately 12″ by 10″. Carefully, I tipped the chocolate dough onto the vanilla dough and rolled over them lightly with a rolling pin so that they stuck together. 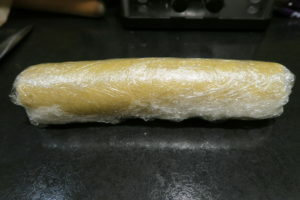 Then I rolled up the doughs together and wrapped it in cling film and put it in the freezer. 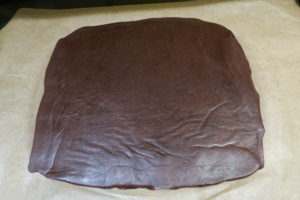 When I was ready to bake the biscuits, I took the dough out of the freezer and let it thaw for 5-10 minutes. 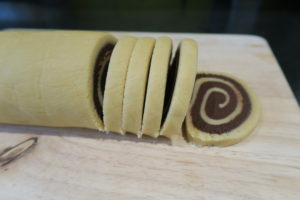 I sliced it into 1/4″ thick slices using a sharp knife and placed them on a baking tray. They do grow in size so I left space between them. 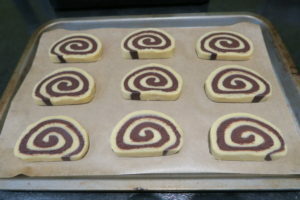 I baked the Chocolate & Vanilla Pinwheel Biscuits for 20 minutes. 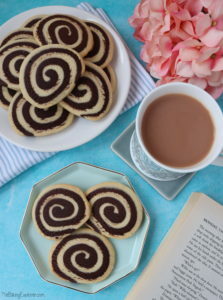 The Chocolate & Vanilla Pinwheel Biscuits are great for an afternoon or morning break, and they make your biscuit break a bit more interesting! Children will also love these biscuits, and you can play around with the colours by adding food colouring to the vanilla dough. 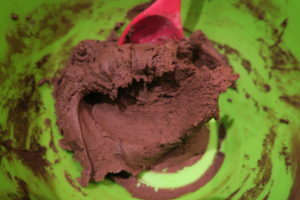 Or invert the colours so the chocolate dough is on the outside instead.